Flattening your belly isn’t all about Vanity, it’s also important for your inner health. Excess body fay % around the stomach may increase the risk of cardiovascular disease as well as metabolic disturbances. How long you need to train the core muscles during workouts, and on a regular basis, to flatten the belly depends on the individual body fat % and fitness level. 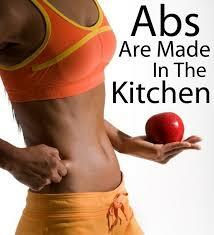 All of the core training in the universe will not flatten your tummy if the muscles are covered in high body fat %. Core training will only burn a few calories, but not enough to reduce cms off your waist. To lose fat all over your body and see a difference in your midsection, you need to decrease your total caloric intake while increasing your activity level.Remember your cardio and resistance training, in addition to core work, for a flat stomach. Tip! Reduce your alcohol intake. Try a 14 day detox. No sugar or alcohol. Back pain is a common side effect of a weak core. Building core strength will help bring balance to the front and back of your body. Sitting at a desk all day doesn’t help, either. Not engaging our core, can lead to things like compressed discs in our spine. The core muscles are very resistant to fatigue, which means you can train them everyday unlike the other muscles of your body. Choose five to eight different exercises that work the core in different directions, include flexion, side flexion, rotation and stabilization such as a plank. You can do one to three sets of at least eight or more repetitions, or until you feel fatigue. The time should be about 10 minutes to 30 minutes. Men tend to see results from training faster than women because they have higher levels of testosterone, and often, lower body fat. Age also plays a role. The bad news is the older you get the slower your metabolism and reaction to training. The good news is the key is to stick with your exercise program and core training to see long-term results. Good luck and enjoy the training and healthy eating. It’s time to start feeling good about you inside and out. Start Today!